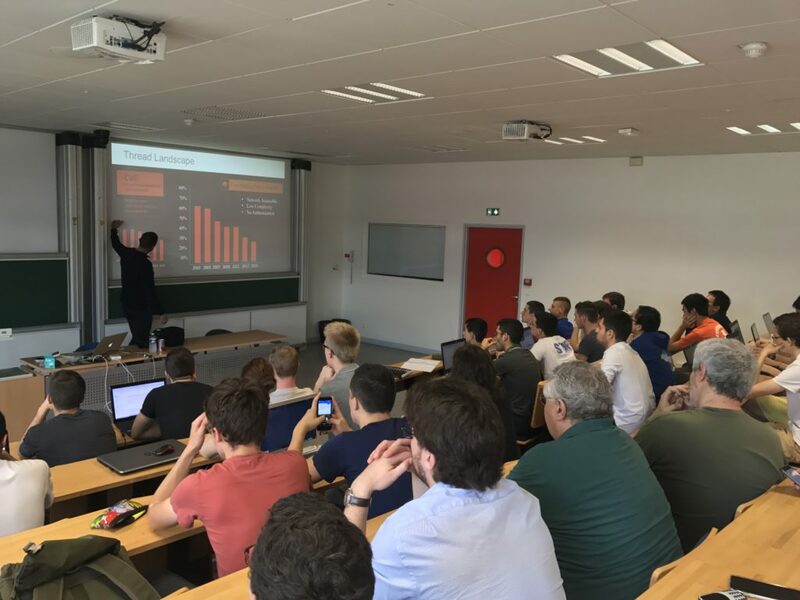 Today, Jean-Charles Griviaud from Cisco France is at Ecole Polytechnique, where he is giving a talk about Cybersecurity at Ecole Polytechnique – and, is bringing an industrial perspective to what we have been treating “academically” only, so far. One of his first points was: in the past, Cybersecurity has been a challenge for network engineers – but, with the amplification of attack surfaces (objects, cars, computers, …) and attackers (BotNet’s beyond just computers, but onto the IoT), we need to bring science into the game: for detecting that an ongoing attack before the attack type has been classified, etc. Of course, Jean-Charles managed to cactivate and (and, in his usual style, also entertain) a packed amphitheater. 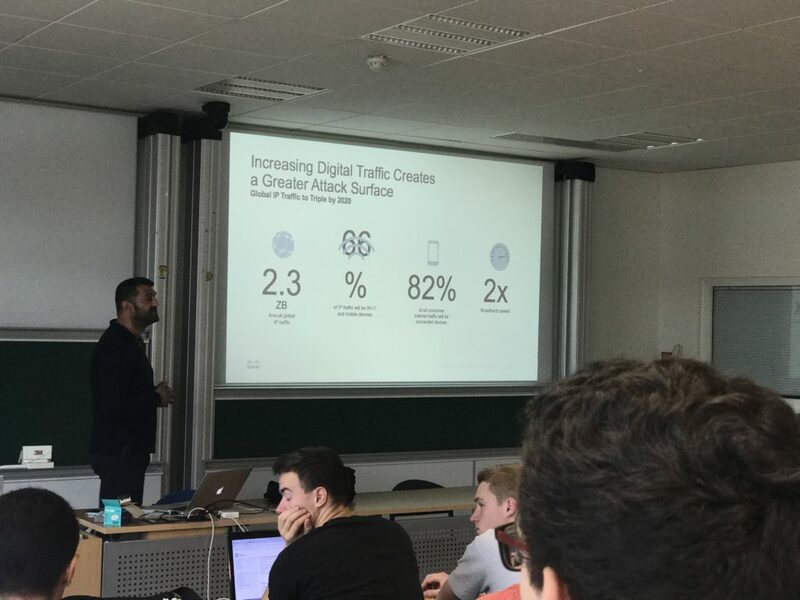 Extremely interesting talk – and a big thanks to Jean-Charles for coming educating us, and our students!